In the book "Big Chicken," Maryn McKenna chronicles how humanity went from developing antibiotics to keep healthy to standing on the verge of an onslaught of unstoppable diseases. Some health professionals are advocating for shorter antibiotics courses, going so far as to say maybe patients should stop taking antibiotics once they feel better. Drug companies aren’t making new antibiotics. Is there an economic cure? 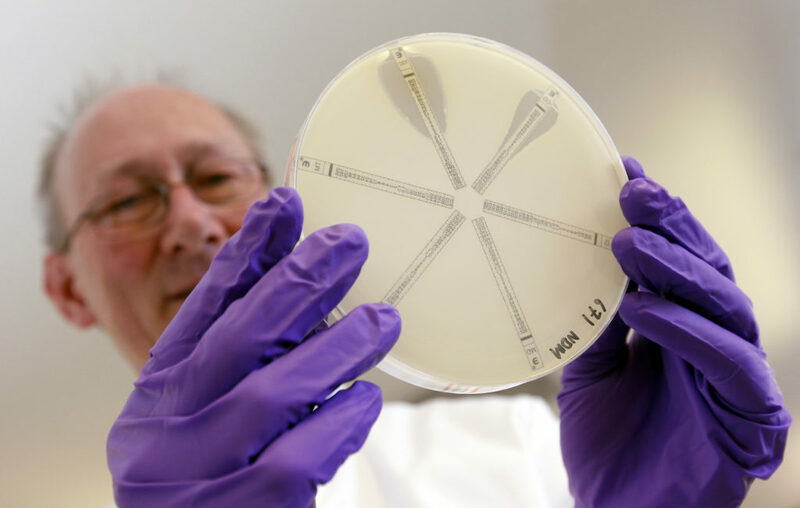 Dr. John Rex discusses the growing concerns around antibacterial resistance and why so many companies have stopped trying to create new drugs. The Neisseria gonorrhoeae bacteria may be developing resistance to the only two antibiotics left that can cure the sexually transmitted disease.